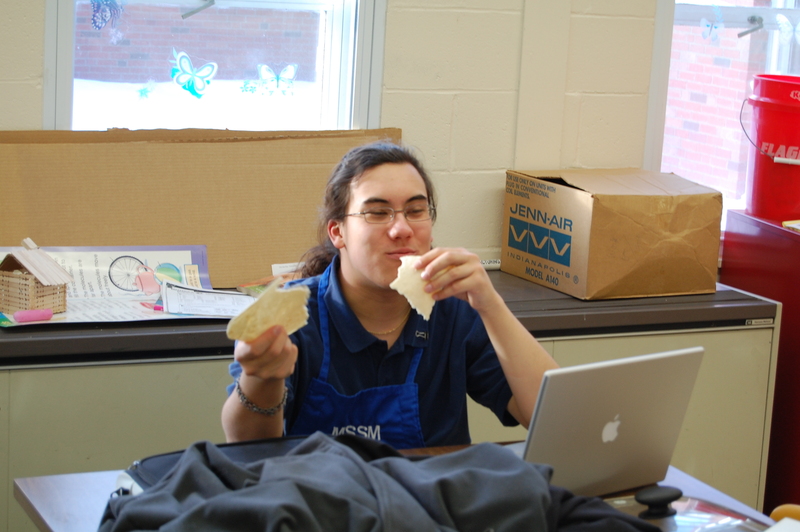 A group of high school students study food and its role in film, literature and culture. Today, we will be investigating the Mexican tradition of burritos, using homemade tortillas, homemade sauce, and our very own homemade spiced chicken. Our group will focus on this for the entire week. We will be sticking with the same meat, the same tortilla, and the same rice recipes, but changing between sauces to see which fits best. This process begins today. Along with this, we are making authentic Mexican rice, using a family recipe from Thomas. 1. Mix together the flour, salt, and baking powder, then cut or mix the fat into the flour. 2. Mix all the water into the flour and fat in stages until the dough comes together. 3. Split the dough into 8-16 pieces, depending on the size and thickness of tortilla desired. Some experimentation may be necessary. 4. 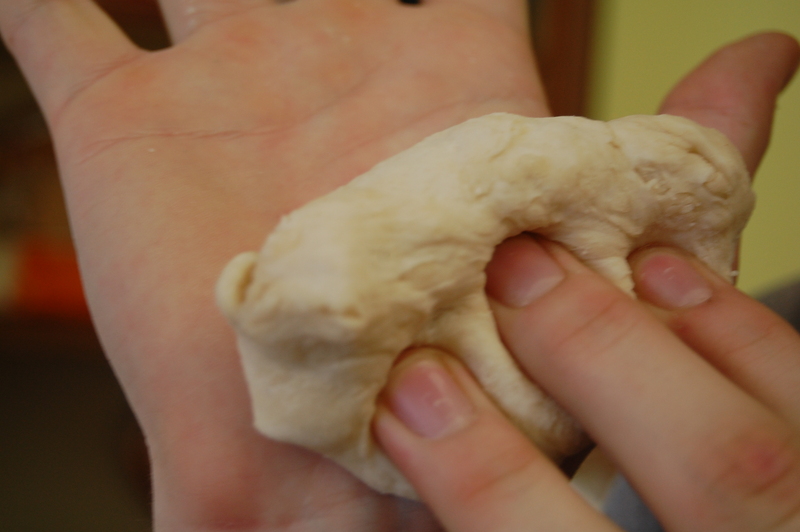 Lightly flour a counter and roll out the dough. The goal is to make the tortillas as thin as possible without tearing or folding the tortilla. 5. Cook the tortillas on a hot griddle or pan without any grease. If you can roll the tortillas fast enough, you can cook and roll tortillas simultaneously. If not, you can roll a set of tortillas and layer them between pieces of waxed paper. 6. For hard tortillas, serve immediately. To make tortillas soft for burritos or soft tacos, place the tortillas in a large sealable plastic bag and leave them there until you are ready to prepare the next dish. It took quite a few tries to get these tortillas to turn out. Notably, you do not want to use any grease on the cooking surface because the tortillas will cook and not stick. 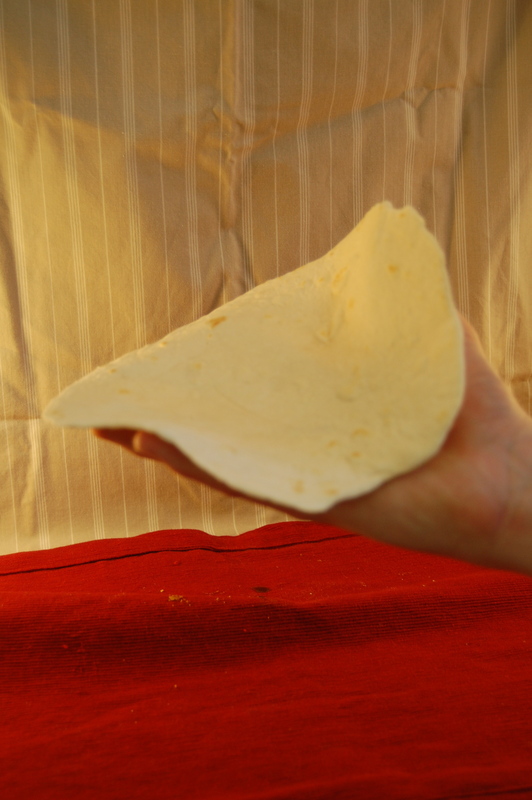 Depending on the desired size of the tortilla, a pan might be large enough, but for burrito wrapper sized tortillas, you will need to use a very large cooking surface. 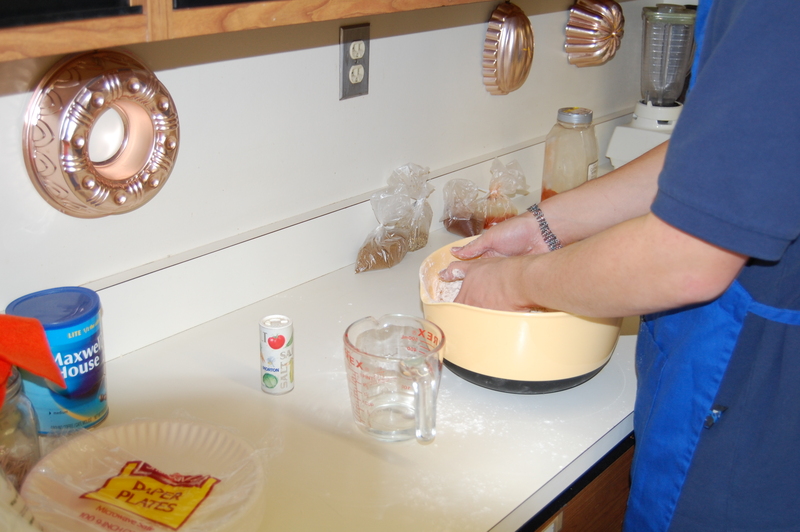 Also, depending on how long the dough sits out, it may be necessary to wet the each ball before rolling it. Figure out how step six in the above instructions worked was quite an interesting procedure. After some “quick fix” attempts using wet paper towels and a microwave or making slightly wetter dough didn’t work. Since we aren’t planning on serving the tortillas immediately (they will be burrito wrappers), the plastic bag method seems to be the most effective and useful way to soften the tortillas. I LOVE this picture of Thomas! Thanks to whoever took it (and posted it! ).